Abagrotis nefascia is a distinctive medium-sized species (FW length 14 - 16 mm) with bright orange-red to brick red forewings marked by contrasting light blue-gray terminal area. The wing is light orange toward the anterior margin and darker and grayer along the trailing margin and near the subterminal line. The transverse lines and spots are faint except where the lines meet the costa. The lines are slightly darker than the ground color and filled with slightly grayish scales. The orbicular and reniform spots are pale and are filled with the ground color or slightly darker. The claviform spot is absent. 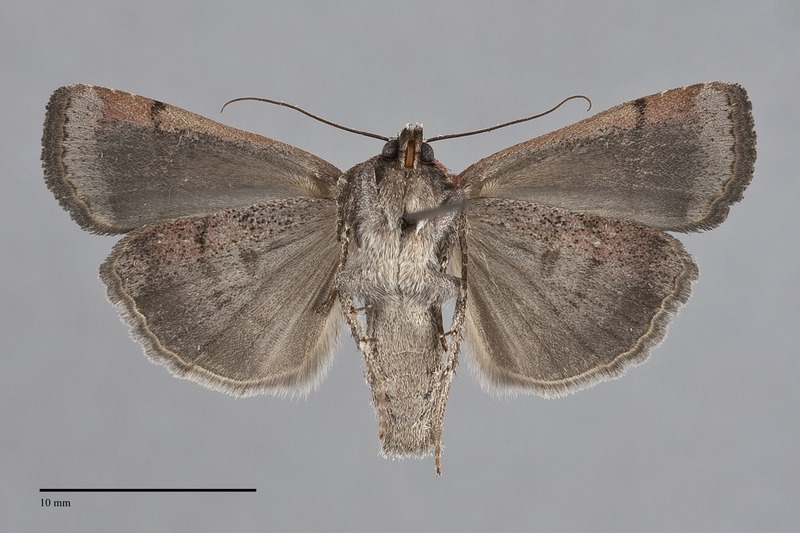 The hindwing is dark smoky gray with slightly darker gray discal spot and veins. The two-toned fringe is dark and light gray. The head and thorax are uniform, slightly lighter anteriorly in a few specimens, and match the forewing ground color. The male antenna is filiform. This species can be identified by its distinctive forewing color and is unlikely to be confused with other moths in our region. Fresh specimens of this species are very attractive. The type locality of Abagrotis crumbi Franclemont, a synonym, is White Swan, Washington. This species occurs in arid habitats. In the Pacific Northwest, it is usually uncommon, but may be locally common in juniper woodlands at low to middle elevations east of the Cascades. It also occurs in canyonlands, ponderosa pine forests, and on open sagebrush steppe. Abagrotis nefascia is found in arid habitats east of the Coast Range and Cascades Range in southern British Columbia and eastern Washington and Oregon. It also occurs in western Montana and southern Idaho. It is common in the northern Columbia Basin and appears to be less common elsewhere in our region. This species is widely distributed in western North America but there are relatively few records over much of its range (Lafontaine 1998). It has been found in south-eastern Alberta, but not in eastern Montana or in Wyoming. It occurs in the Four Corner states, in southern Nevada, and in eastern and south-western California. This species is known to feed on hardwoods such as serviceberry (Amelanchier spp.) in the Rosaceae and currents (Ribes aureum) in the Grossulariaceae. It may also feed on bitterbrush (Purshia tridentata) in the Rosaceae based on the habitat. 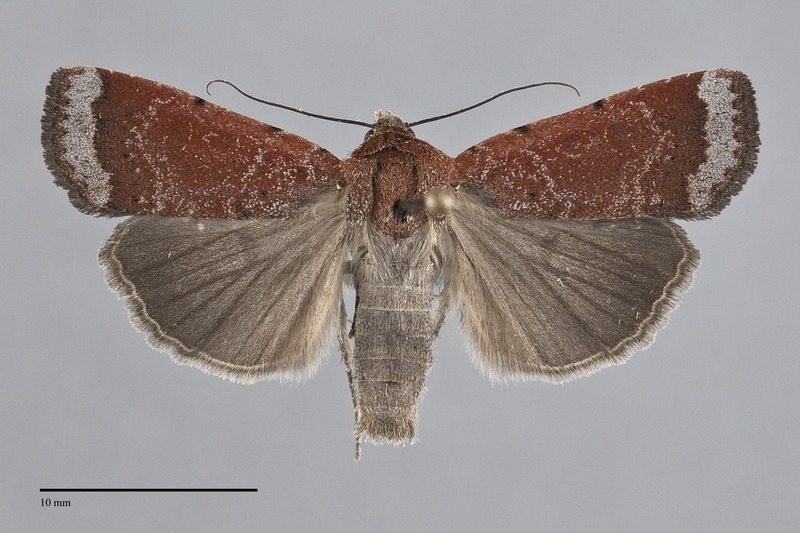 This species has a long flight period and has been collected from mid-June through September in our region.